A video brochure is a hybrid of the two and is certainly an unconventional way to deliver your message. The best personalized business gifts and corporate gifts. Assistance is available for large orders and volume discounts. The newest 2.8” video brochure is an amazing way to display your work in a video player form. Available in a white or black hard cover with a soft touch, this product has a number of uses: slideshows, wedding videos, digital file delivery, in-studio samples, portfolio, self promotion, promotional leave behind and so much more. Boot logo: support a boot logo of the same pixels with the screen size. Sizes can be from A6 to A4, depending on your particular requirements. Other sizes and paper options are available upon request. You can also choose landscape (horizontal) or portrait (vertical) orientation. Landscape option is selected by default. The standard Video Brochure has a magnetic switch, so it can autoplay videos once unfolded. It can be with multi-button with specific functions like power on/off switch, play/pause, play/FF, pause/REW, forward, backward, volume up, volume down, rewind, fast forward, video selection, etc. Buttons can be placed below the screen or on the screen left/right side. It takes a maximum of 10 buttons. Brochures can be printed with 4 colors (CMYK) or Pantone (PMS) and gloss or matte lamination as standard. Printed material can be folded, varnished, perforated, or even die-cut into shapes to meet your requirements. We can print brochures on 80gsm uncoated bond paper or on high quality coated matt or gloss paper from 90gsm to 300gsm digitally or lithographic. 1).Can we upload the video ourselves after the lcd video brochure card was sent to us? Since we are planning to upload different video for each card, we would like to do it ourselves; when we received the video greeting card/ video brochure. Yes, You can upload the video youself after you got the brochure card, Just need connect for uploading, it’s quite easy. 2).Can you send us the art template / layout for the brochure? Yes, We will send you template/layout for the brochure after confirmed details. 3).Is it okay if you just provide the blank video greeting card without printing? Yes, we can provide the blank paper card. 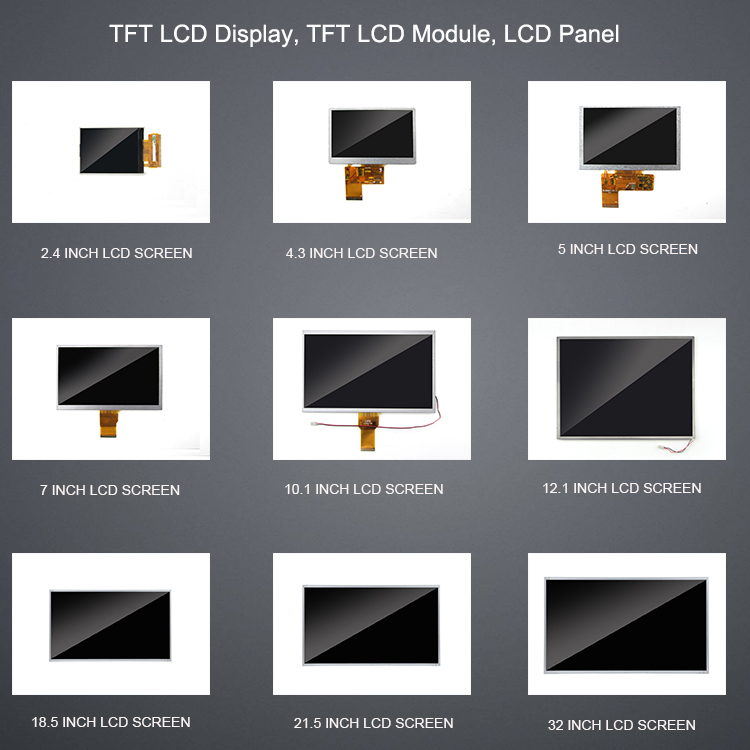 4).Is it okay if you just provide the video module (electronic part) without greeting card/brochure? 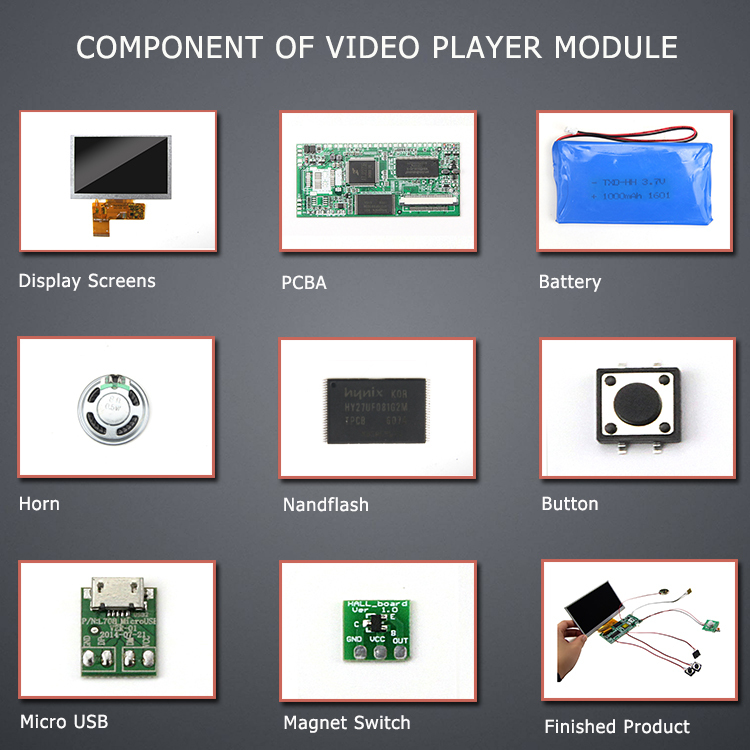 Yes, we can just provide the video module. 5).Could you provide samples? Our custom printing is ok? You can visit our website www.funsuper.com choose the sample and let us know item number or send us artwork make the custom sample. 6).We would like to place order of multi designs will be acceptable? like 50 pieces because of two different creatives,total of 100 pieces. Yes, Multi design is ok, but the printing fee will be higher. 7).Can you tell us the whole transaction process? What do we need to do to start the transaction? b).You pay 30% deposit, if just 100pcs, we suggest you pay full amount because production time will be quick (7~10 days). c).We make a digital print proof sample take picture and video for you confirm. 8).Would you be able to send us a sample of the printed lcd video brochure card for each order before the mass production of the orders? We want to preview the design and make sure everything is going on the right track. It’s ok we send you sample for confirm, But you need pay sample fee and shipping cost or place order first. The sample we used is digital print proof. Or we will make a proof sample and take sample picture and videos for confirm before mass production, this is free. 10).What about the lead time? Stock sample can send out within 1 day, custom sample doing time is 2~3 days. 1~500pcs production time is 7~10 days, 500~1000pcs production time is 10~15 days. 1000~3000pcs production time is 15~25 days. 11).What’s your minmum order quantity? 13).How many minutes of the video can be played? 128M memory can play around 15 minutes according to video file. 14).What’s function of the buttons? Different video play buttons, volume+,volume+,Forward,backward,Max 10 buttons. 15).How long the battery last? 16).Do I get a proof sample before they go to print? We will make a proof sample and take sample picture and videos for confirm. 17).could you send me just the prices for screens, bottons, cables, etc.? Our partner make printing so, we can integrated everything here, but maybe is better import all the solution fromChina, we’ll see. This is OK for us just provide video modules. Brilliant quality brochures, definitely recommend. Funsuper also designed our brochure and produced the video, so provided the full solution. This device is 8GB it’s Good But Playing AVI videos only, There is no photo browsing option. When shipping a device you can pay custom duty in your country too much amount. Seller is friendly. This DIY Video Greeting Card as the Pefect Family Gifts That Will Surprise and Delight All Ages. One and done is the way to go. It's a gift for the entire family that gets everyone excited. The 4.3'' video brochure is a hybrid of the two and is certainly an unconventional way to deliver your message. This brochure opens to reveal a high resolution LCD screen capable of playing up to five videos and even has speakers for audio. Video Brochures are ideal for direct mail, magazine inserts, education and training, corporate reports, POP retail and promotional marketing. Great for Ad Agency! Customizable Video Business Card 96*55*9mm, 2.4'' TFT LCD color screen 320 x 240 pixels, 128Mb flash memory, 450mAh lithium battery, 1 x mini USB port, magnetic switch, CMYK printing, matte/glossy lamination. Small Order is Welcome! Funsuper® designs, develops and manufactures innovative promotional products including Video Business Cards, Video Brochures, Video Boxes, Video Mailers, Musical Greeting Cards, etc. Check out the latest sales & special offers online. Enjoy up to 30% off. Have Fun! © 2018 Funsuper.com. Fun Technology Ltd. or its affiliates. All Rights Reserved.